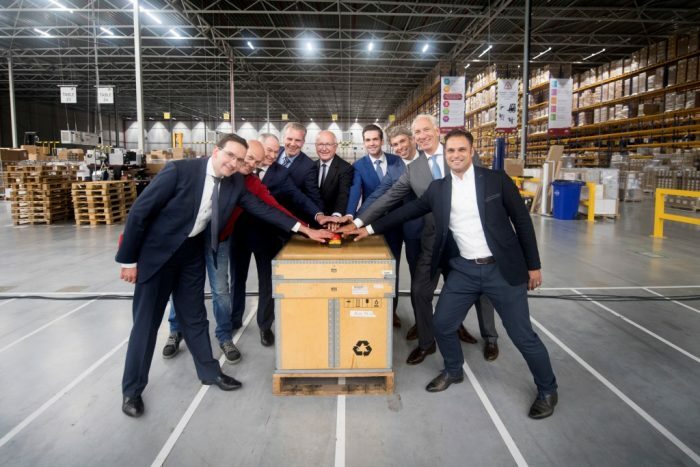 Medtronic, a global leader in medical technology, and CEVA Logistics, a leader in supply chain management, opened a new distribution center in Heerlen, the Netherlands. Medtronic and CEVA Logistics will utilize the new 33,000 square meter medical logistics facility to support their global networks and offer world-class distribution services. The expansion will also reinforce Holland’s expertise in the South-Limburg region. On top of the more than 1,000 employees already working at Medtronic’s Center of Excellence in Heerlen, an additional 300 employees will work at CEVA Logistics in the distribution center. Together, the two companies are the largest commercial employer in the region. The new distribution center is dedicated to the storage and distribution of Medtronic’s medical devices and equipment, such as surgical instruments, implantables and patient monitoring systems. “From our distribution center, we can reach 15,000 different hospitals in Europa and more areas within 24 hours”, says Sikko Zoer, Vice President Customer Care and Supply Chain of Medtronic EMEA. Widely known for its sophisticated logistics network, the Netherlands provides the ideal infrastructure that companies like Medtronic need to expand in Europe. Holland received a 10 out of 10 for its strong infrastructure and pro-business climate on Inbound Logistics’ 2018 Global Logistics Guide. Heerlen, known for its cluster of medical logistics companies, will allow Medtronic and CEVA Logistics to build on their healthcare solutions and logistics expertise.